Out of state drivers who have received traffic charges while driving through or visiting Helena, Alabama have options besides pleading guilty. We will work hard to get your case dismissed, reduce the charge to a lesser offense, and keep court costs and fines to a minimum. If you received a summons to appear in court and we are not able to resolve your charge prior to court, then we can appear in court for you with an affidavit to appear on your behalf if approved by the judge. Our attorneys are not concerned with pleading you out in court. We want to fight your charge, so call Kreps at (866) 348-2889 or CLICK HERE. Kreps Law Firm, LLC Traffic Defense attorneys handle reckless driving, speeding charges, and other charges pending in Helena, Alabama. We have handled hundreds of Alabama DUI, speeding tickets, and other criminal charges. Call us TODAY (866) 348-2889 and let our Traffic Defense experience go to work for you. We are lawyers that help Alabama Traffic Violations clients in Helena, Alabaster, Calera, Chelsea, Columbiana, Harpersville, Montevallo, Pelham, Vincent, Wilsonvile, and Wilton Municipal Courts and Shelby County District Court. © Copyright 2010-2012. 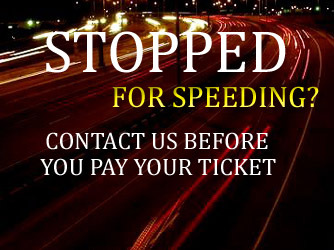 Kreps Law Firm, LLC - Helena, Alabama Speeding Ticket Attorneys. All rights reserved.